The Centre on Wednesday proposed the draft of a new Act which it seeks to replace the University Grants Commission (UGC) Act with. UGC is the principal funding body for universities across the country. The new Higher Education Commission of India Act, 2018, is likely to repeal the University Grants Commission Act, 1956. Announcing the draft of the Act, Union Human Resource Development Minister Prakash Javadekar appealed to stakeholders to send their recommendations on the Act by July 7, 2018. 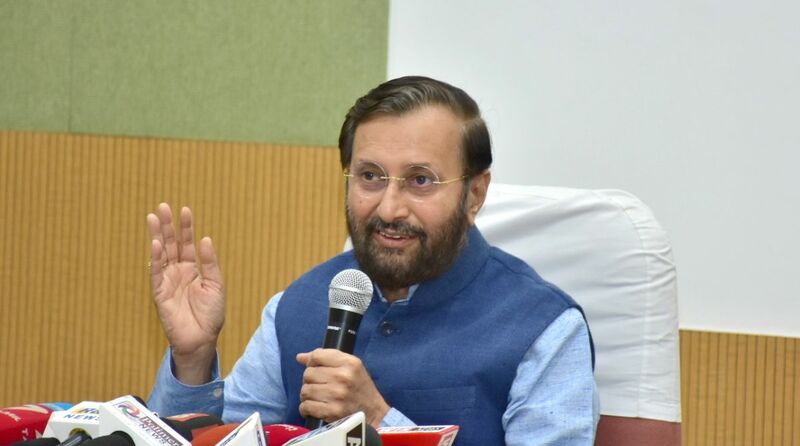 “My appeal to all educationists, stakeholders and others to furnish their comments and suggestions by July 7, 2018 till 5 p.m and mail at [email protected],” Javadekar said in a tweet. “The Draft Act is in accordance with the commitment of government for reforming the regulatory systems that provide more autonomy to Higher Education institutes to promote excellence and facilitate holistic growth of the education system. “The transformation of the regulatory set up is based upon the principles – Minimum government & Maximum governance, separation of grant functions, end of inspection raj, focus on academic quality, powers to enforce,” he said. The “Higher Education Commission of India Act, 2018” will be applicable to all higher education institutions established under any Act of the Parliament excluding institutions of national importance notified so by the Central or state government. The new Act is expected to be tabled in Parliament in the ensuing monsoon session. As per reports, an advisory council with the HRD minister, the higher education secretary and state higher education council heads, besides experts, will be set up under the Act to advise on various issues every six months.